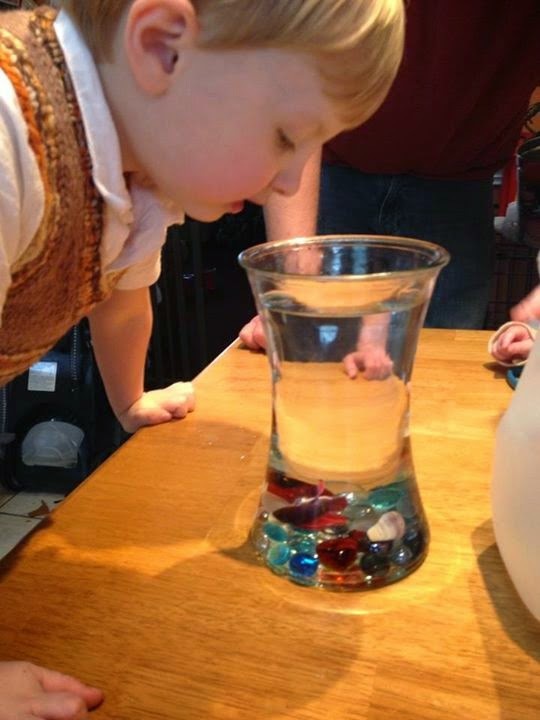 The boys and I have been keeping a small 10 gallon aquarium with various fish in it since March 16, 2013, when Lucas got his first beta fish, "Spider man Peter Parker". We haven't really had any issues with the tank maintenance in all of that time, but apparently we were just lucky. On Monday, Jan. 26 I noticed that one of my our neon tetras was ill and dying. We had just bought new zebra danios on Friday night so it was possible that an illness was introduced to the tank, so I treated it with Lifeguard. To do the Lifeguard treatment I had to remove our Yo-Yo Loach and 3 snails from the aquarium. On Tuesday the 27th, the crazy yo-yo loach managed to jump from the 8 cup measuring cup on TOP of the aquarium and into the big tank! The holes he had to make it into are less than 3" square! 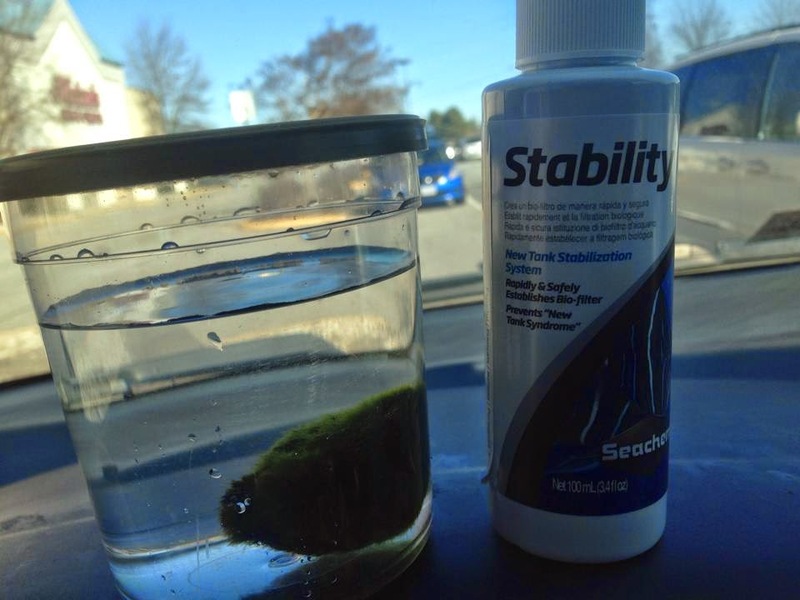 On Wednesday the 28th, I took a water sample to PetSmart to get it checked out. The ammonia was dangerously high, the nitrates were low and the waste in the tank was high. I bought "bottled bacteria" and a marimo moss ball to add to the tank. I also noticed that morning that the female Mickey Mouse platys we have had given birth & there were still 2 fry alive in the tank! I moved them to a "medicine tent" in the tank to keep them safe from Mr. Yo Yo. On the 30th I had another water check done & although most of the levels in the tank were safe, the ammonia was still too high. I bought more bottled bacteria & added the whole bottle & a new bottle of dechlorinator too. 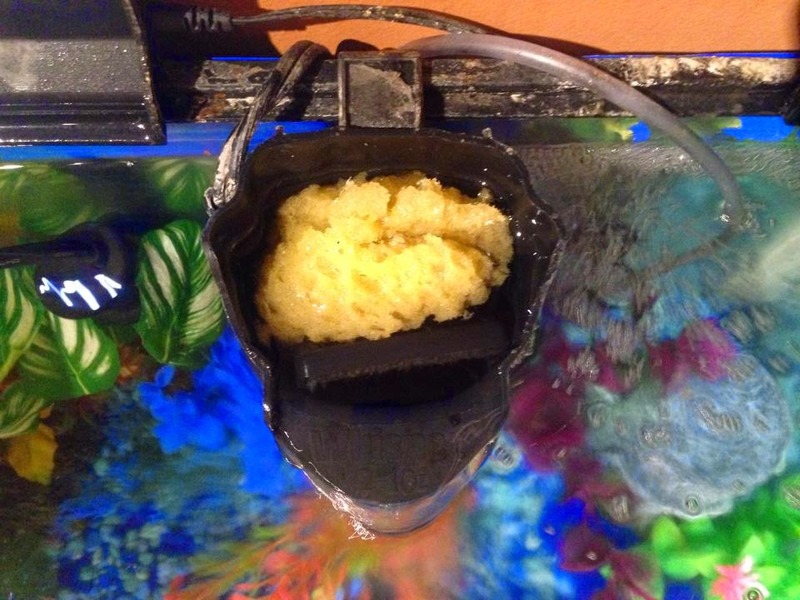 I also bought an artifical sea sponge & added that to my filtration system. On Feb. 3 I had the water tested again and the nitrates were at 20ppm (which is good) and the ammonia was lower! Yay! That evening I dumped the rest of the stability brand bottled bacteria in the tank. On Feb. 6 I had the water tested again and the nitrates were around 30ppm and the ammonia was still measuring a little high. But now the clerk said the ph and alkalinity were low. I also pulled the carbon filter out of the tank. Its now Feb. 7 and I'm itching to expand to a bigger tank. I'm convinced we need more room to make the water stabilize. Its just too touchy with such a small tank. UPDATE: Feb. 18, I haven't had the water checked in a couple of weeks now. The filter has some obvious growth in it, which is good. Also my little baby fry are getting larger! :) They are 3 weeks old now! I did a 3 gallon water change today & cleaned the gravel pretty well. On Friday Feb 27th I bought my new 29 gallon fish tank! I got the Tetra brand kit fromWal-Mart for $99 because I had $40 in Savings Catcher bucks and a $10 gift-card from e-bates. :) I got it set up on Saturday morning. Some of the feeder snails made it over in the initial move & I added one of our Ramshorns later in the day. 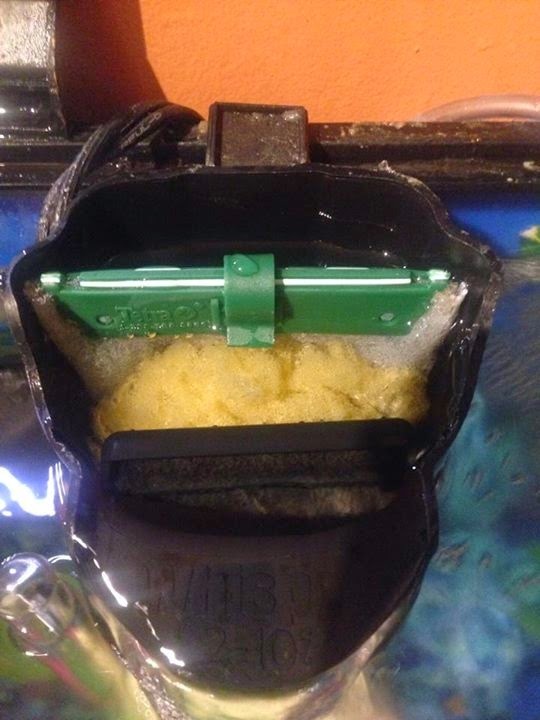 This morning we woke up and everything was still good in the tank so we began the process of bringing over a little more water, the filter sponges, and the rest of the fish. Yo Yo Loach took a while to catch but its better that he was the last one to acclimate to the new tank anyway, so the others had time to settle in. I went out to Petsmart later in the day and got a water sample tested and compared with tap water. The only issue was slightly hard pH, which I will monitor and then treat as needed.